Sorry, but no big news for me. 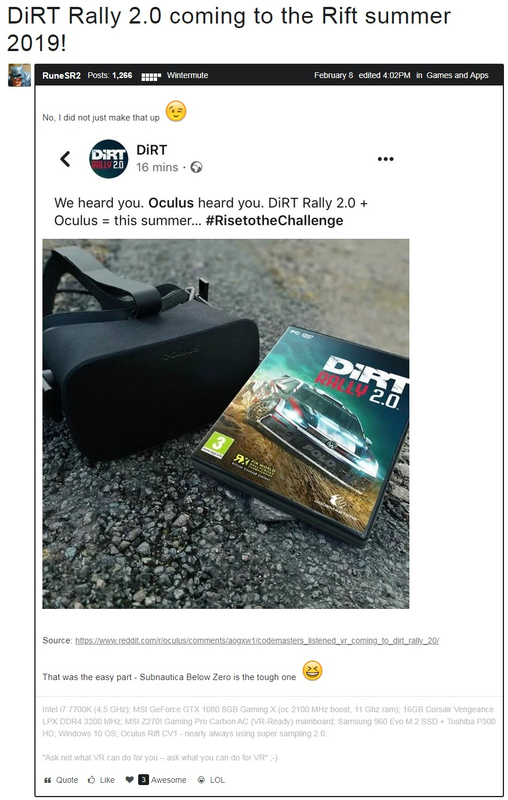 I did not even like Dirt 1.0 with my Oculus Rift. I much prefer Assetto Corsa for VR racing. It's big news for thousands of other people though. Lots of people signed the petition to have VR added to this game. I think it was probably the cash injection from Oculus that made CodeMasters change their minds though. Just wish we had an F1 racing game by CodeMasters in VR.